Former NY Yankee Pitches Barter To Hotel Industry. Bob Meyer - a former New York Yankees baseball pitcher traded in his baseball career to start a publication called Barter News, after running a National mail-order business. Bob is the �Mickey Mantle� of the Barter industry. As background, Bob Meyer was not just �any old baseball player�. In his rookie year in the Major Leagues, in an 11 year career, he threw a one-hitter and broke a major league record for pitching that had been previously held since 1915 (fewest �official at-bats�19�). Bob has also attained the same type of stature in the Barter industry, having been awarded the industry�s first Lifetime Achievement Award (2004). Bob founded Barter News in 1980, which reports on the global marketplace of trading goods and services. His online presence, BarterNews.com, acts as his industry�s portal in bringing together over 800 Barter companies on a global basis. The common mistake that hotels make in trying to decide in looking at �Barter� is focusing on whether the hotel room that is �bartered� will displace their full-revenue traffic. Hoteliers should look at barter differently. For example, would a hotel be interested in trading $100,000 in hotel rooms for $100,000 in furniture? How about trading for $200,000 of audio-visual services, instead of paying an outside vendor for those services in cash? Bob Meyer informed me that these barter deals are readily available in the marketplace today. In other words, the way hotels should look at �barter� is to make a list of what their �needs are� in terms of using �bartered� hotel rooms to purchase items that they would pay for in hard currency. Barter provides hotels a necessary avenue to improve their cash flow, while using their excess capacity for items they were going to outlay funds to in the normal course of business. Hotel rooms are a �perishable commodity�, just like a carton of milk. If you don�t use the milk by the expiration date, it will turn sour. If you do not sell a hotel room on any given night, it is a �perishable commodity� in that the hotel can never recover the revenue. According to Bob Meyer, hotel rooms can also be considered wasting assets, which cease to exist with the passage of time and revenue can never be recaptured. Every night, based on the National percentage of occupied rooms, nearly one out of every three rooms goes unsold, except prime tourist destinations like San Francisco, where the occupancy rate hovers at about 74% annually, where one out of four hotel rooms goes empty. Moreover, Bob Meyer laments, another way to think about it is that if a hotel were to give away the hotel rooms, and the guest used the other profit centers of the hotel such as the restaurant, bar, gift shop, and room-service, the hotel would still be ahead. But; certainly, the hotel does not have to give the rooms away. Bob indicates that the savvy hotelier can really leverage their empty rooms to bring more money to the bottom line. This type of thinking is called a �self-liquidating asset�, meaning that if you have a hotel that simply �gave the rooms away�, in some cases, they would come out ahead of the game. By the way, I am personally aware of two situations where hotels were literally giving their hotel rooms away for little or nothing. When I was running my hotel marketing company, Hotel Connections, in the late 1980�s, a famous old Las Vegas Convention property had a vast wasteland of empty smaller rooms not connected to their main Casino facility that languished most of the year. When I received a call from their Director Of Sales, he said, �You can have as many rooms as you need, year-round, for $9 per room-night.� I replied, �What�s the catch?� Without missing a beat, he said, �The only catch is that your guests have to share a room with the ants!� Las Vegas has an advantage in marketing empty hotel rooms that other cities do not have. Las Vegas has gambling revenue. In that regard, over the years, I learned of a prominent Las Vegas bus tour operator that had an arrangement with one of the hotels on the Las Vegas Strip where he got his hotel rooms for $0 per room-night. He obtained them from the nightly Casino room-block. Many people do not know that some of the Las Vegas Casino�s are actually set up as separate corporations. But; let�s say you have a non-gambling hotel establishment. What can you do then? The answer to the question can be answered by a real-life situation that involved a Certified Public Accountant, named George Kopecky, who had written an article about his experience in being hired by a famous up-scale boutique hotel chain based in Los Angeles that had asked him to determine in his professional capacity how to determine the approximate real cost to a hotel in trading one hotel room-night for bartered goods and services. The results were astonishing. George had interviewed the owners and General Managers who expressed to him that the average cost of servicing a hotel room was 40%, based on taking the overall revenue of a hotel for one room-night, and dividing it by the number of rooms. In other words, the management of the hotels assumed that this is what trading a hotel room was going to cost them per room-night. What George determined fixed costs such as insurance, depreciation, personnel, etc., based on existing hotel occupancy levels of 50-90%, would be unaffected by the incremental room-nights generated by a Barter program. Therefore, variable costs, such as housekeeping, laundry, and room-supplies, and semi-variable costs, such as the increased costs of extra staffing needed if the hotel experienced a jump of 10% on any given room-night was the barometer that the hotel should use in calculating its real cost. Additionally, this hotel chain only traded for room-nights, so the hotel guests were responsible for any food and beverage costs that they incurred in the hotel. Therefore, he did a separate profit analysis as to the dollar amounts that each hotel guests for one room-night (1-4 people occupying one room for one night), and determined that if the hotel were to give away the rooms, just as the Casino hotel I cited earlier in this article in Las Vegas, the hotel would generate $22 in pure profit, per room-night! He went further. The hotel chain he was hired to evaluate was similar in occupancy to the current National average of room occupancy in the United States. He determined that if the hotel were to trade 4.4% of the hotel inventory in Barter, they would generate $300,000 annually to the bottom line. I met Bob Meyer at his home many years ago in Orange County in Southern California, as I had written an article for his publication, Barter News. In the article, I shared my experience of being involved with barter when Outrigger Hotels traded hotel rooms for radio spots that were owned by 3M, which owned stations in Los Angeles, which was the ideal feeder market for Outrigger. As well, I traded for Barter credit that Manhattan East Suites (now Affinia) had in the marketplace that offered Barter for �Rooms, Food and Beverage�. (Note: Many Restaurants not affiliated with Hotels often trade their �food and beverage�.). Whether you are involved in the hotel industry with a small property in a secondary city, or are part of a group of hotels throughout the Country, gaining knowledge about the available Barter programs can help you increase your room-nights as well as Food and Beverage (F&B) revenue. As an example, Bob Meyer reported over 10 years ago that Nendel�s hotel group used Barter to trade for its entire $1.6 Advertising budget! Barter is not a new concept, and can be the focal point of an entire sales and marketing campaign. In that regard, Billboard companies, like Gannett, have been known to trade their excess capacity of Billboard space. A hotel located off of a freeway exit might be unaware that they could trade for Billboard space. Hotel Suppliers, just like hotels, can have the same �perishable commodities�. For example, if you are a commercial printer, and have already scheduled some paid jobs to be printed on a certain time and date, using the excess capacity of your printing press is the same use of obtaining additional revenues from your printing operations. The delivery of a �physical� item in the Barter industry such as hotel furniture is called �hard goods�. Hotel Rooms are considered �soft goods� because they do not deliver a physical product. However, in the case above, Hotels need brochures. But; what if Printers do not have a need for hotel rooms? This type of situation where a Printer may need to Barter for goods such as �Paper�, or being able to obtain the services of an Accountant, might be what the Printer is looking for. Recognizing that different vocations have disparate needs, Barter organizations, properly called �Trade Exchanges� started organizing in various communities around the Country. There are also �National� Barter companies, as well. 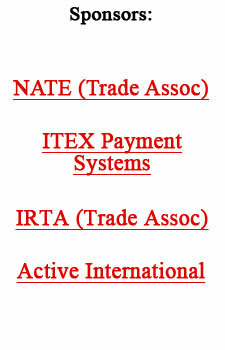 These organizations serve several purposes. First, they act as the organized body to bring together companies whose products and services they believe will be of interest to the other Members of their Trade Exchange�. Secondly, they regulate their groups to make sure that each provider is charging �fair market value� for their services. In the case of a hotel, for example, that wanted to establish a relationship with a �Trade Exchange� a typical practice would be to charge �Rack Rate� at the �double-occupancy� rate. For example, if you had a $200 �Rack-Rate� hotel room, belonging to a Trade Exchange would allow a hotel to obtain $200 in �trade credits� every time that a member of their �Trade Exchange� stayed at their hotel. Whenever a hotel, or any �Trade Exchange� member accepts a trade, the tax on the item is still collected at the point-of-sale. So, in this case, on a $200 hotel room that was obtained by �Barter�, the hotel guest would pay tax directly to the hotel on the $200, and the hotel would report that to the IRS in the usual manner. How do Trade Exchanges make their money? Typically, they charge an annual membership fee, as well as a cash fee for each trade that is made between the two members. In fact, they act as sort of an escrow agent in making sure that the services are exchanged. They also generally receive a 10-15% fee. Depending on each trade exchange, usually the seller is charged the fee. However, this percent and structure may vary. However, because �Barter� is widely considered to be �advertising�, the �cost of sale� is �balanced� in regards to what the hotel received in return. Let me share with you why the Outrigger Hotels �Barter� program with the radio stations in Los Angeles was so successful. Every time that Outrigger Hotels traded $100,000 in �hotel rooms� for $100,000 in radio spots to 3M corporation, the �radio spots� that ran in the Los Angeles market generated full-revenue traffic for Outrigger Hotels. When you think about the �break-even� point for Outrigger in getting into a venture like this, it is exciting. The Outrigger program was in full swing in the early 1990�s, when they had double the capacity that they do today. Assuming that the �average rate� in Hawaii was around $100 per night, with the average stay being over 5 room-nights, Outrigger would only need to generate 200 reservations to generate $100,000 U.S. Dollars. Bob Meyer remarked that bartering for media is a natural, because both the hotel rooms and the media revolve around the clock, and in both instances have a low incremental cost. Because Outrigger Hotels had excess hotel rooms to sell at that time, they calculated that their �incremental costs� of entering into a �Barter� arrangement with 3M for their radio station spots was the cost to clean their room (housekeeping), and pay for the electricity and maintenance costs on that room. They figured that they had the costs of paying everyone�s salaries, and other operating costs anyway. So, in other words, their �incremental costs� were maybe, 10-15 cents on the dollar. In other words, the hotel knew it was paying for the radio spots in �soft dollars� instead of in cash. By the way, 3M Corporation used the Outrigger Hotel Rooms to organize incentive travel trips for their top sales people. Everybody liked the arrangement. For those of you who have been in the hotel industry for a long time, you have probably come to the conclusion that in most geographic markets, you have some years where occupancy is outstanding, and other years where you have many unsold rooms. Or, to put it another way, Sparky Anderson, the famous baseball manager once said, �Every 24 hours the World turns over on the person who is on top of it.� If you don�t have a need for Barter �now�, learn about it, so that if your hotel is ever in the situation where you need to find a creative way to fill empty rooms, you can think about using �Barter�. Bob Meyer is open to hearing from readers if they have any questions regarding structuring barter programs for their hotels. He can be reached by email at bmeyer@barternews.com. The process of handling a bartered hotel room transaction at the front desk can be accomplished by establishing either a �blind folio�, where you have a Master Folio that is kept year-round and dedicated to the barter transactions (think of it as an in-house group you have year round). In this scenario, the hotel collects the �tax� on the bartered amount, and this is entered on the �blind folio� (just like you would use in a �comp� hotel room where the guest puts up their credit card for incidental charges). In the case where the hotel is offering barter for �rooms, food and beverage�, the guest simply presents their room-key at the F&B outlets, or for room-service, and the room, food and beverage is calculated during the stay, and deducted from a separate Master Folio for each barter account, which is similar to �running an open tab� at a bar. Meeting Space can also be bartered, and represents an excellent untapped resource, since an empty Meeting Room is akin to an empty hotel room. Hotels can also trade other hotels for hotel rooms. For example, having an allotment of bartered hotel rooms in various cities allows for hotel sales executives to cut down on their expenses on their business trips. Hotels can also use Barter locally to trade for goods and services such as hiring a computer programmer and providing them with accommodations in return for their services. Also, it should be noted that hotels certainly can custom design a Barter program for their hotel that meets their own particular occupancy patterns. For example, an airport hotel in Chicago might want to create a Barter program where the room-nights are only offered to meet their weekend (Friday-Saturday) slow days of the week. Similarly, a hotel property in Phoenix, Arizona, could create a Barter program that might only be offered during the Summer month�s (June, July, and August). Finally, Barter allows hotel executives the freedom to be creative in structuring trade agreements that meet the specific needs of the hotel. � 2006 Permission granted to reprint this article. Ron Feldman has been recognized by Who's Who In Lodging and Who's Who In California, and holds a U.S. Patent for an automated hotel reservation processing method and system. He has taught business services marketing at the undergraduate and MBA levels. Since 1994, Ron has been president of World Business Services, Inc., a consulting firm which help businesses improve efficiencies, and increase sales. He can be contacted through his office at 718-240-5142 Monday-Friday. Or, Ron can be reached by e-mail at bizamerica@aol.com.